I was told going to the summit in Haleakala National Park was one of the best things to do on Maui. I didn’t necessarily believe it, though, since I wasn’t going on a Haleakala sunrise tour. That, I had read, was one of the best activities on all of the Hawaiian Islands. No, I balked at the chance to wake up at two in the morning and drive to see the sunrise when I could witness it just as spectacularly from the beach of my resort with a few extra hours in bed. Instead I decided to drive to the crater’s rim and the summit on my own on my final afternoon on Maui. A few days before making the drive I took a Haleakala bike tour down the side of the volcano with Maui Easy Riders on my Maui Visitor Bureau trip. It was an amazing experience. On it I also learned I didn’t need a tour to drive me to the summit of Puu Ulaula, or the Red Hill, at over 10,000 feet above sea level. I could do it on my own. Sure, the road was windy and narrow at times, but if I went slowly and took my time, like any drive it would be no problem. So I continued up the side of the volcano to Haleakala National Park’s entrance and on to the visitor center. The views were outstanding, better than those I witnessed on the bike ride. And the higher I climbed the better they looked – high above the clouds with the sun on my face and the Pacific Ocean visible beneath the cotton blanket. It was like when I had traveled to go stargazing on the summit of Mauna Kea on the Big Island of Hawaii just a year before. I parked at the visitor center at the crater’s edge and walked to the overlook. The panoramic before me was stunning, like a picture of Mars with its violent beauty and red rolling hills. I was struck dumb by the sight so much so that I had to force myself to stop taking pictures. I was too caught up in making sure to capture the moment and get that one perfect shot that I forgot to breathe, enjoy it as the beautiful landscape it is, and marvel at one of the best drives I have ever made. 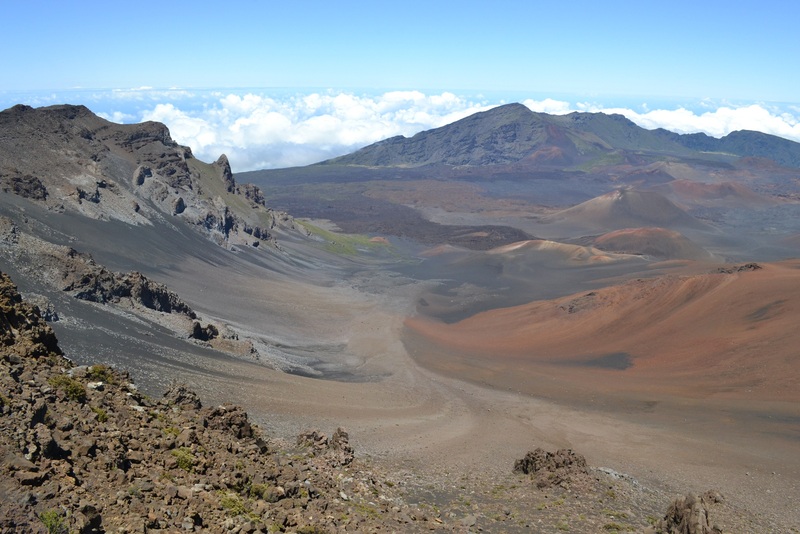 The last eruption of Haleakala – which translates into House of the Sun – occurred approximately five hundred years ago. What is left of the shield volcano today is approximately 75% of the island of Maui. The rest, the western half of the island, consists of the West Maui Mountains. I wanted to hike around the crater, but didn’t have time since it is so deceptively massive – seven miles across, which is as big as the middle part of the two sides of Maui, and approximately 2,600 feet deep. I decided to be content with enjoying the crater from above, but the wind chased me inside. The small visitor center was overrun with tourists, though, so I was chased back out. 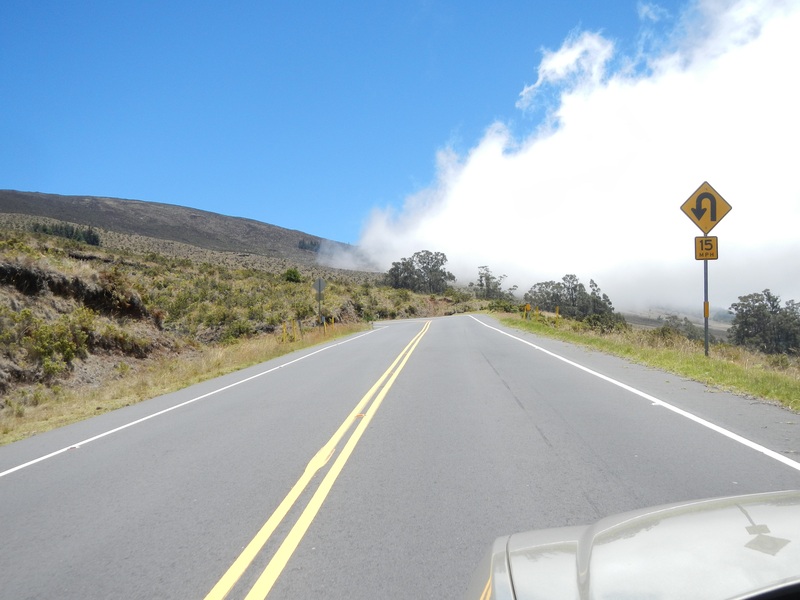 It was an uncomfortable experience, bumping into someone new at every turn, so I returned to my car and departed for the summit of the Red Hill, the spectacular pinnacle of Maui and the capstone to my trip to the Valley Isle. Telescopes stood watch atop the mountain, just as they did on Mauna Kea. But I wasn’t here for stargazing. I wanted to take in my last true view of Maui before flying back to the mainland later that night. I needed to be able to recall the memories I had created, admire the beauty before me one last time, and sear it into my brain for weeks to come. I needed to have that one last moment on my own with my new love, Maui. So I stood in the small shelter at the top of Puu Ulaula and gazed out on the magnificent landscape. I contemplated the dramatic forces that created such beauty. And I yearned for my return to not just Hawaii, but specifically Maui, before I had even departed. It was now part of me, as all Hawaiian Islands I have visited have become, and I was saddened to be leaving, to return to my home, because it now felt as though all of Hawaii was my home. It is interesting that you are, like me, slightly resistant to everyone telling you the “must see’s” on your trip. I am glad you went, it is breathtaking. I loved Hawaii, and am delighted to find someone else who did as well! Thanks for the note. Yes, I absolutely love Hawaii. And you’re right, many times I do resist people telling me something I must see. But, the top of Haleakala certainly is one of those I’m glad I bent on; sometimes “they” are right! Wonderful reminiscence. 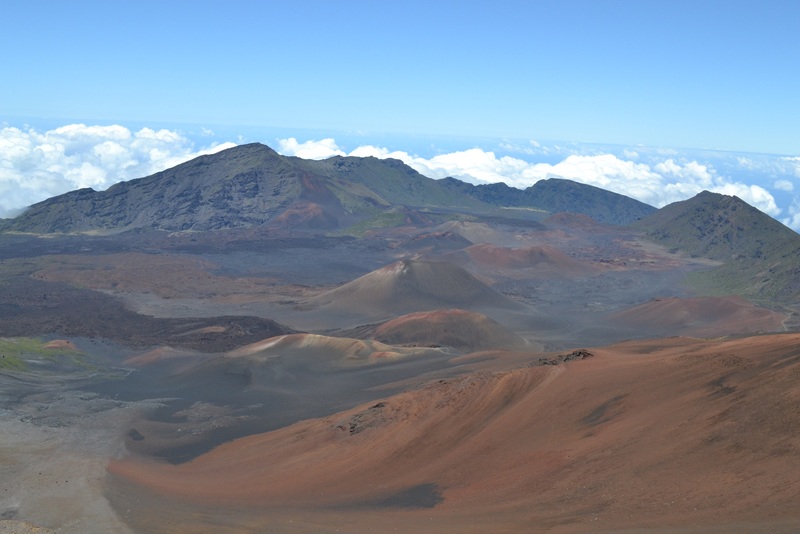 You are right: Haleakala is a unique, awe inspiring sight. Your experience is very well expressed!